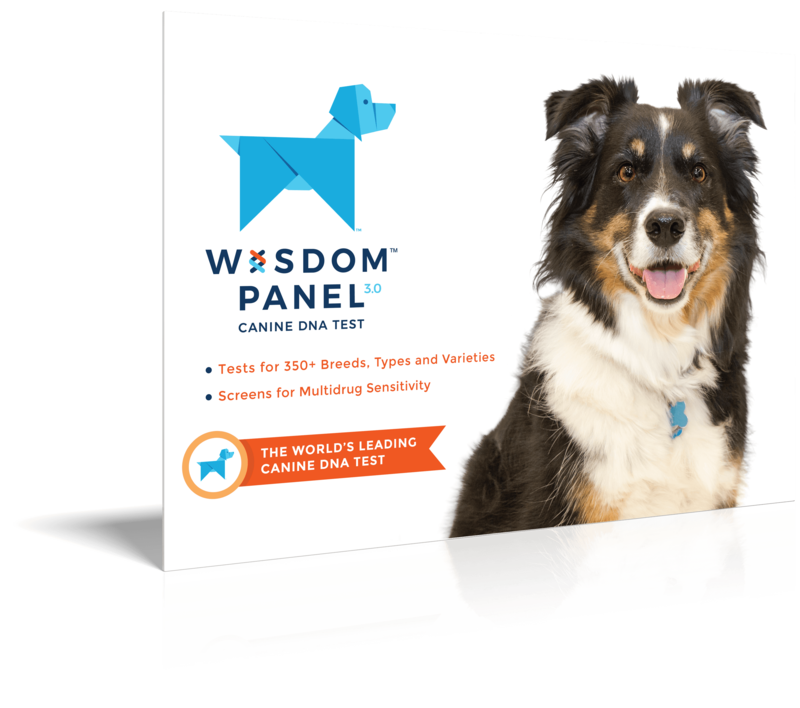 Cute doesn’t even begin to describe these intelligent, playful, and cheerful dogs. Reputation as a good family dog. 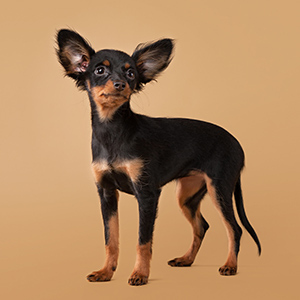 One of the smallest breeds in the world, don’t let that distinction fool you as they have had giant staying power, having nearly gone extinct twice! Originally developed as a popular companion breed for the Russian aristocracy in the 20th century, it was this popularity that nearly caused them to go extinct the first time during the communist revolution. In the 1950s many tried to save the population but the ones being bred lacked pedigree, so in 1958 a new version of the original Russian Toy was developed when a longhaired pup was born to a pair of smooth-haired parents. Again in the 1980s, the breed survived near extinction during the fall of the Iron Curtain and the halt on exporting of the breed. Finally in 1988 the official breed standard was established by the Russian Kynological Federation securing its future. 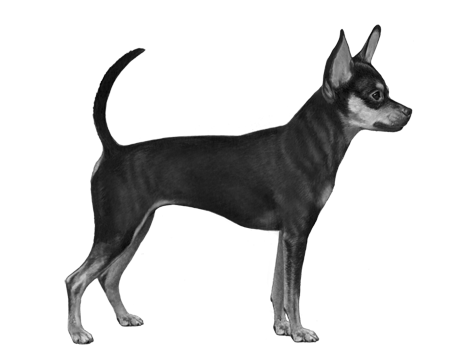 Added to Federation Cynologique Internationale (FCI) roster of acceptable breeds in 2006, this particular list dropped “Terrier” from the name. Still today it’s rather uncommon to find this breed outside Russia. About seven pounds (three kg. 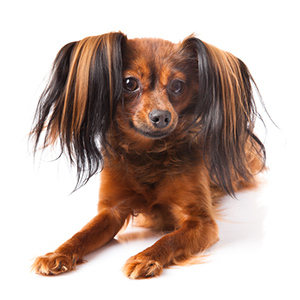 ), this tiny, but elegant breed has two varieties: the long-haired and smooth-haired. 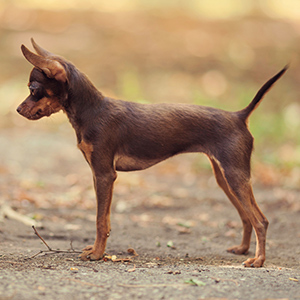 The long-haired Russian Toy has a single coat no more than two inches (20 cm) on body with plenty of whimsical feathering on the ears, tail, and back of the legs. By contrast the smooth-haired coat is very short and close to the body, but as the name would suggest extremely smooth to the touch. 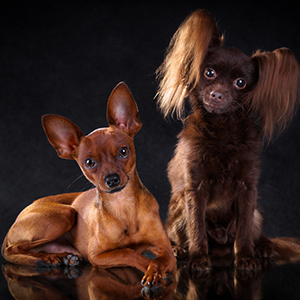 These dogs come in a variety of acceptable colours: black and tan, brown and tan, blue and tan, shades of red, or sable and have prick (erect) ears with a sickle-style tail. 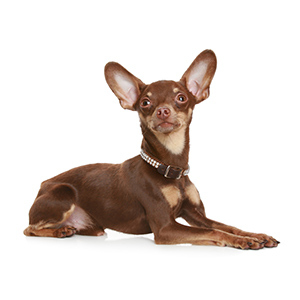 Cute doesn’t even begin to describe these intelligent, playful, and cheerful dogs. They thrive on human companionship and with moderate energy levels are great lap companions which can make them great therapy or service dogs.